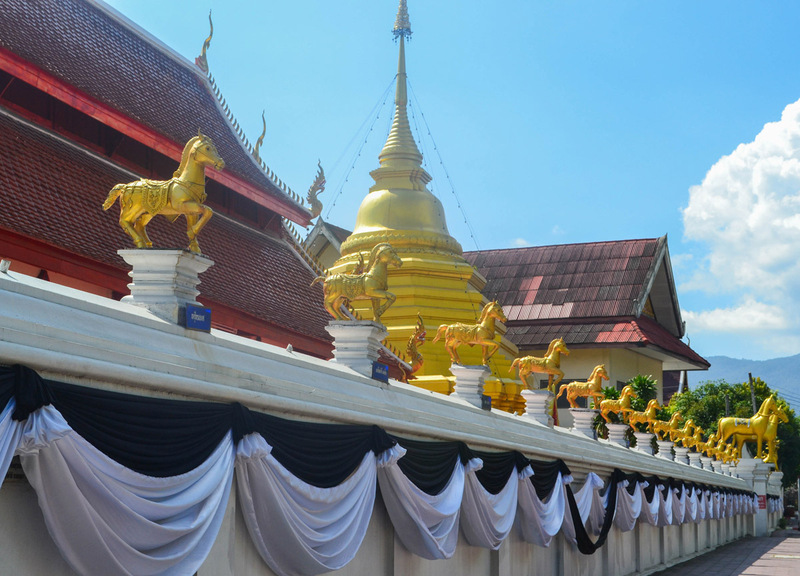 This Chiang Mai temple tour shares nine temples in total, where nine is an auspicious number in Thailand, but also links in to the remembrance of King Bhumibol (Rama 9) who had passed in the previous month to this tour. 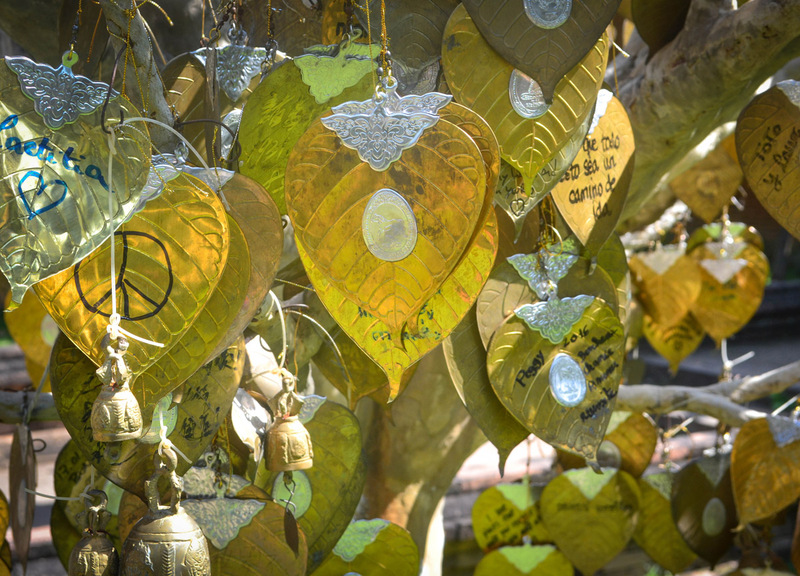 So it was a pilgrimage of sorts. 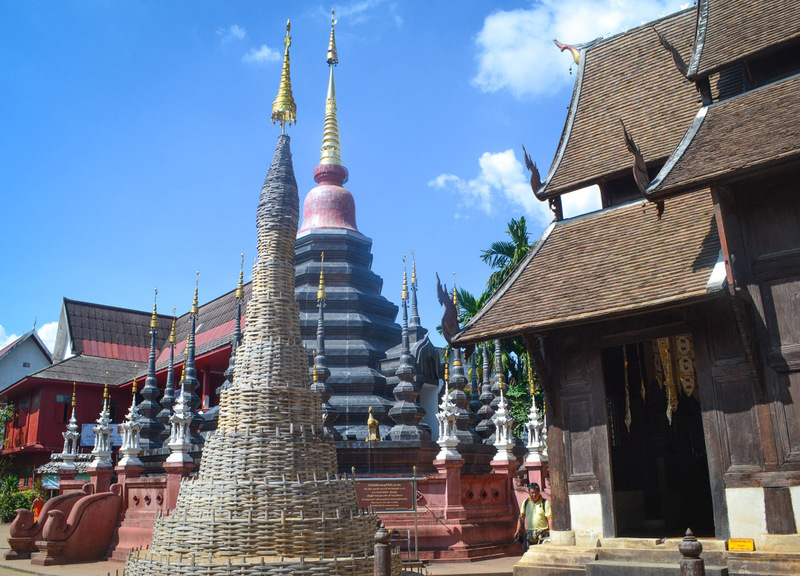 And this tour takes in some of the best Temples in Chiang Mai old city, and is easily completed in half-a-day by motorbike or tuk-tuk, or from my own experience, it can take around three and a half hours. From start to finish. 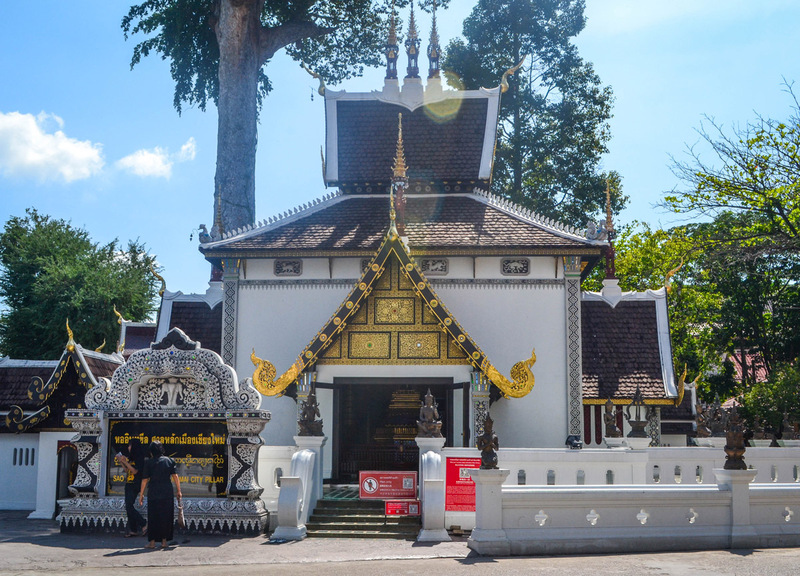 So all these temples in Chiang Mai are found either in or around the old city area and it’s probably best to start inside and work out (as I have). 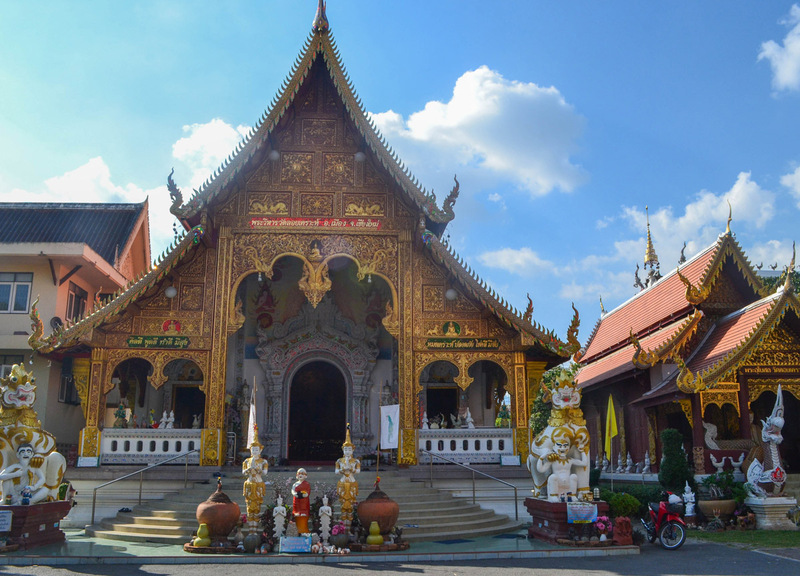 Anyway, here is my short list of some of the best temples in Chiang Mai. 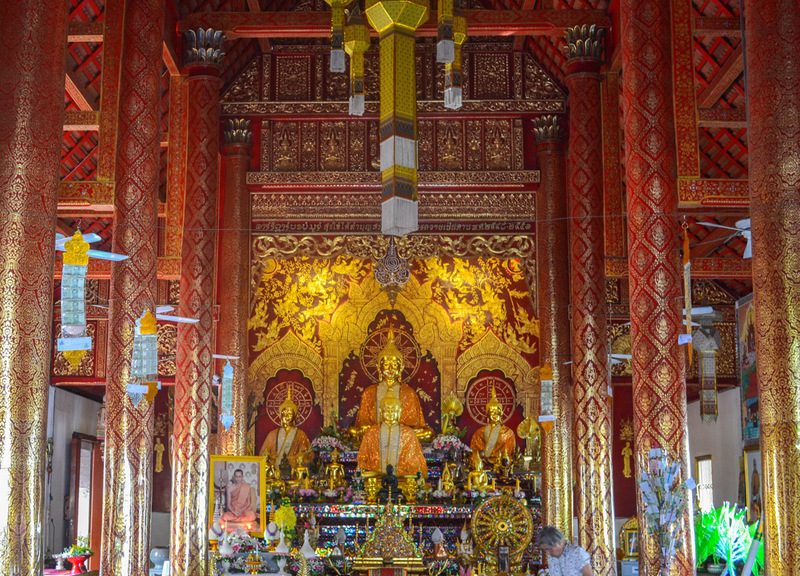 Wat Phea Singh, which translates as ‘Temple of the Lion Buddha’, is named after the Phra Singh (Lion Buddha) statue which was housed inside (1367) before its head was stolen in 1922. 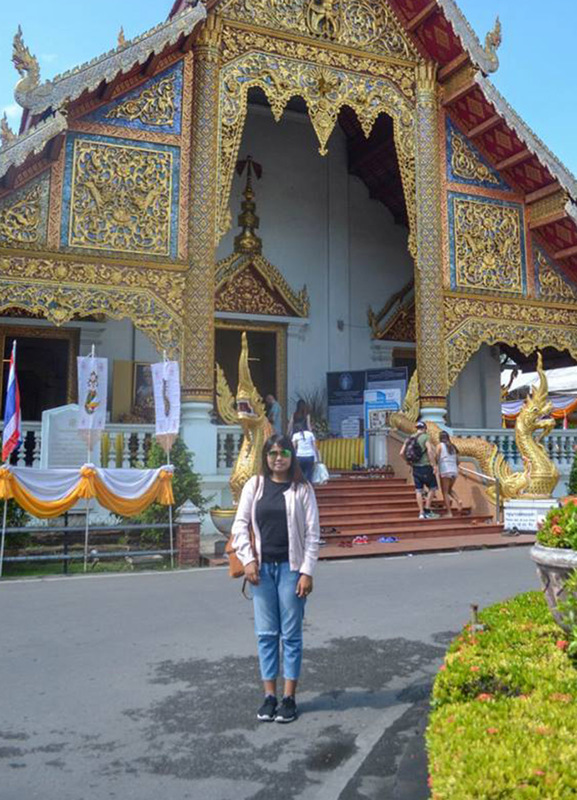 The temple is also said to be the first monastery to house the renowned Emerald Buddha, before it was moved through various temples of Thailand and modern-day Laos, to its current famed location where it is enshrined at Wat Phra Kaew at Bangkok’s Grand Palace. 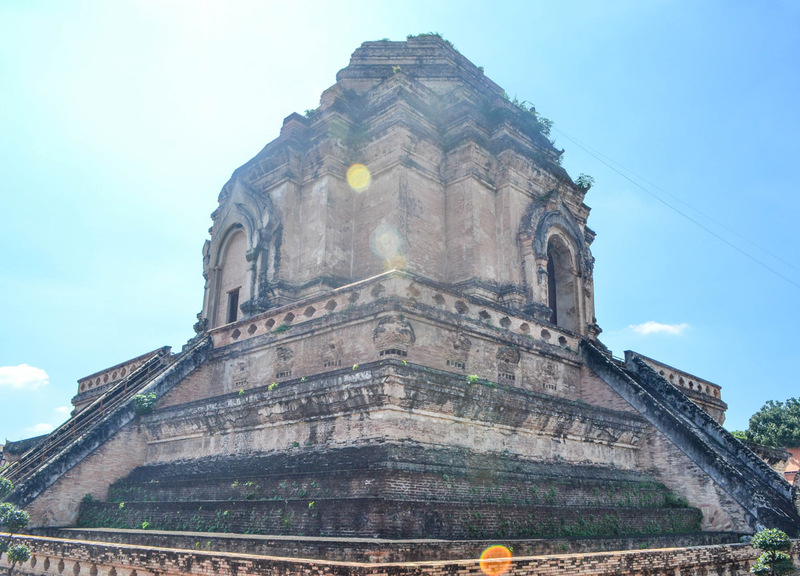 The Big Stupa at Wat Chedi Luang was once 82 m high, with a base diameter of 54 m, and at the time of completion, it was the largest building of Lanna until modern times. 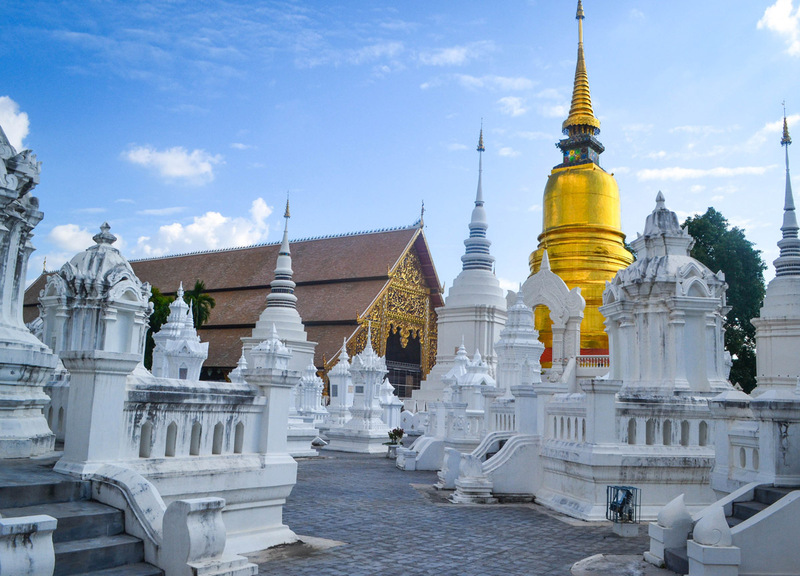 But a severe earthquake later toppled the top tiers of the spire, and it lost its towering title. 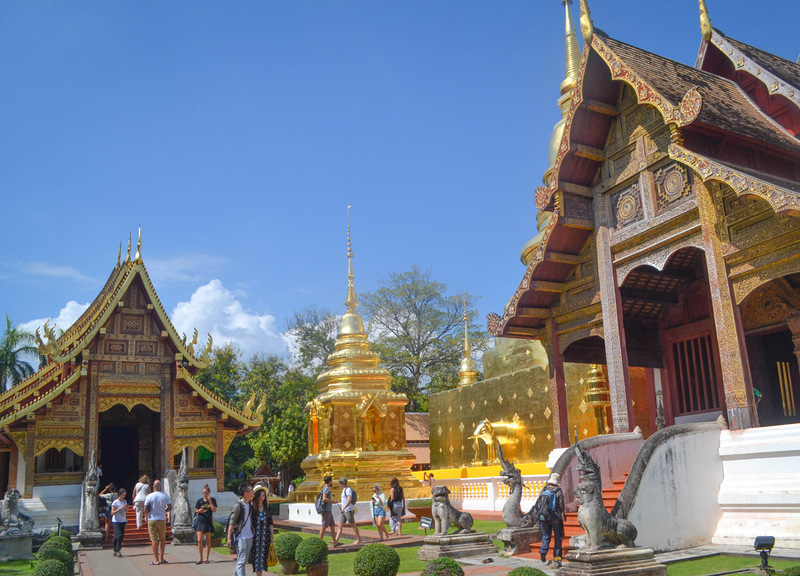 Wat Chedi Luang was also home to the famous Emerald Buddha (1468) before it was moved to Luang Prabang in Laos, as a black jade copy of the Emerald Buddha was made to replace it. 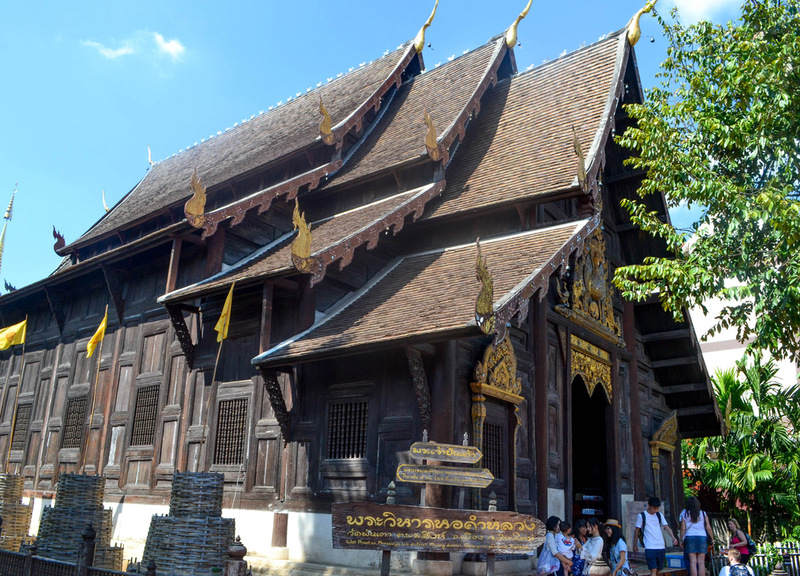 This ancient temple sits directly next to Wat Chedi Luang, and it is known for its Lanna-style ordination hall made entirely of teak. 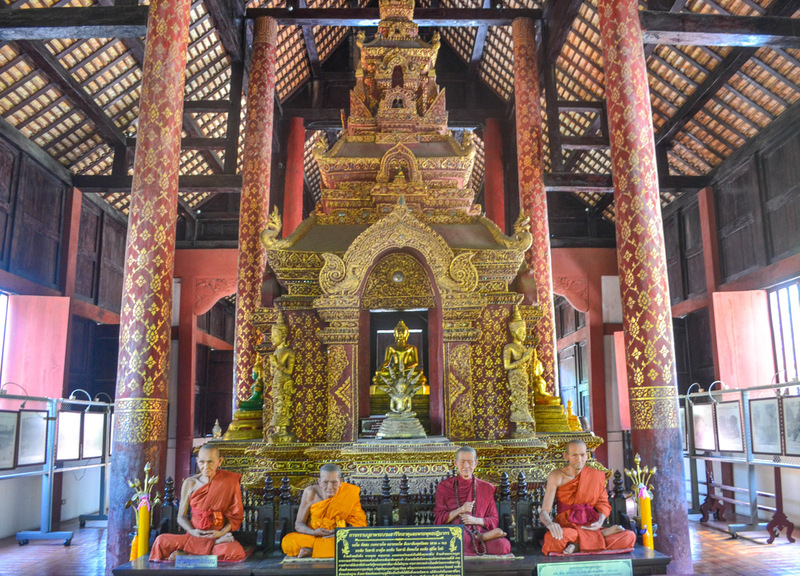 So it has teak pillars and panelling inside, along with decorative mosaics and accents, as well as an enshrined gold Buddha statue. 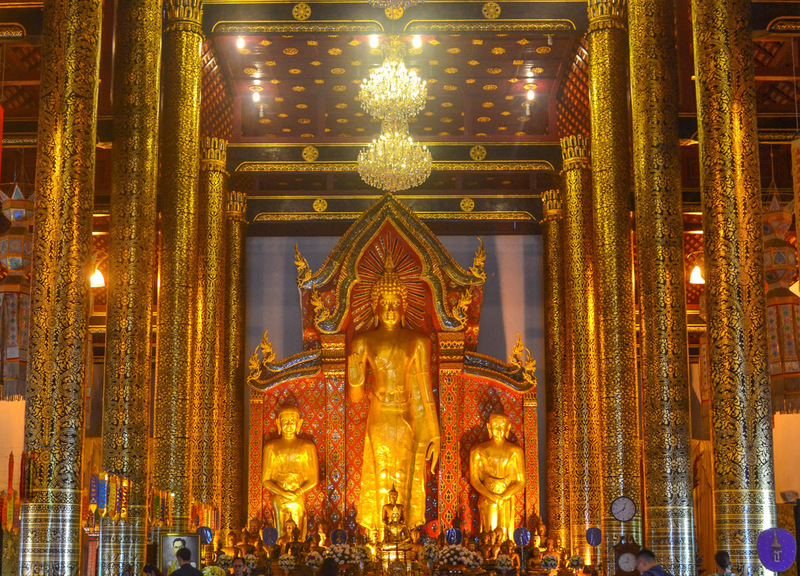 The temple itself was originally built as a throne hall for the reign of King Mahotara Prateth. 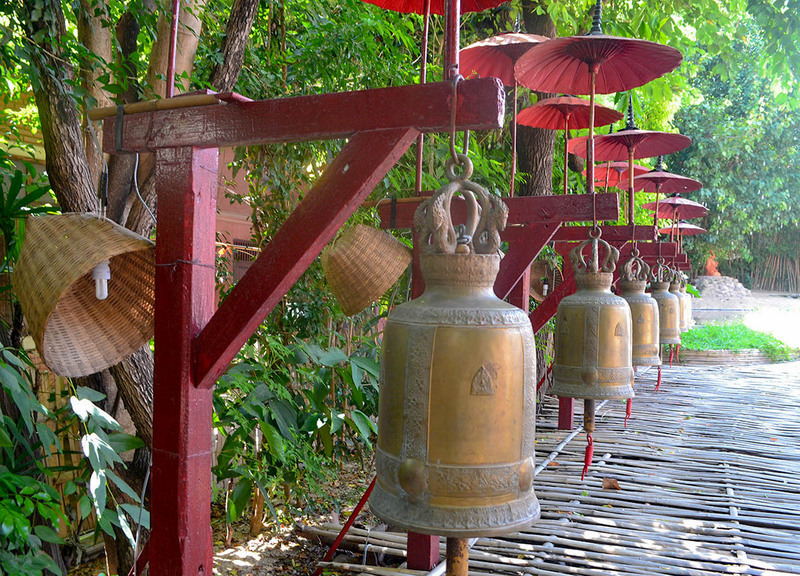 Also, the line of bells outside looks pretty nice. 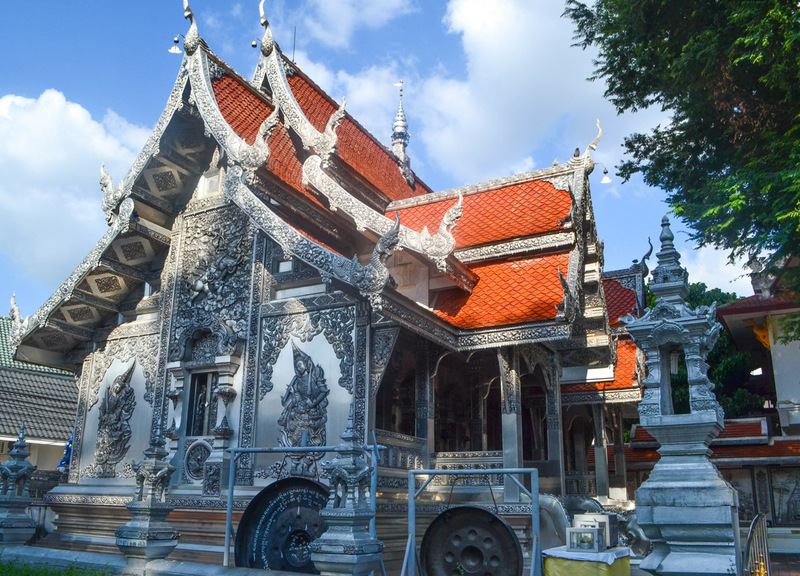 This is a fairly textbook Thai temple, and it made more of a filler along the way to Wat Lok Moli. But it’s definitely worth a nosy around. 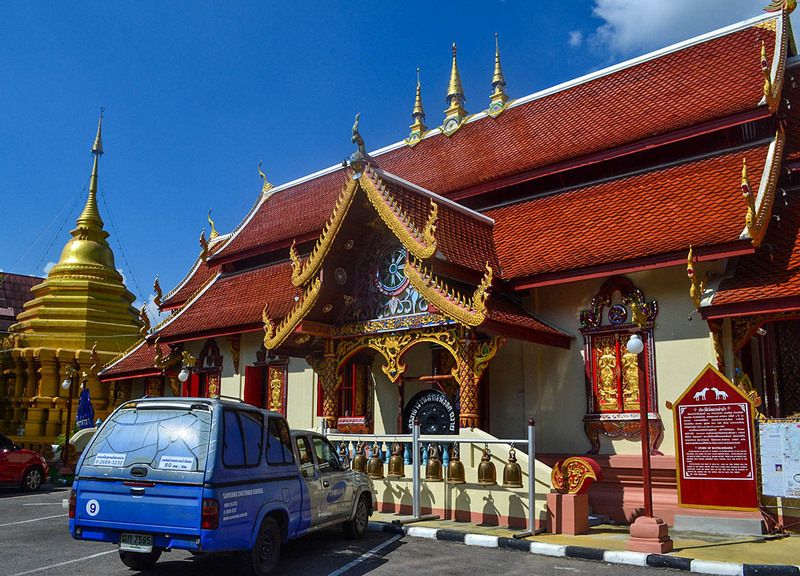 Most Buddhist temples are orientated east towards the rising sun, however Wat Lok Moli goes against this tradition, as it aligns along a north-south axis. 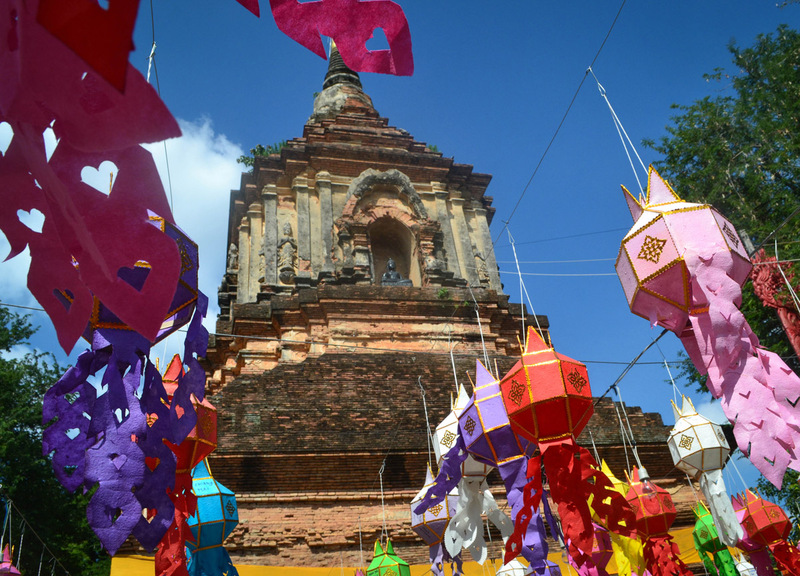 The temple is also home to one of the tallest Chedi spires in Chiang Mai (although it’s still much smaller than Wat Chedi Luang), however, the Viharn next to the chedi was only built recently in 2003. 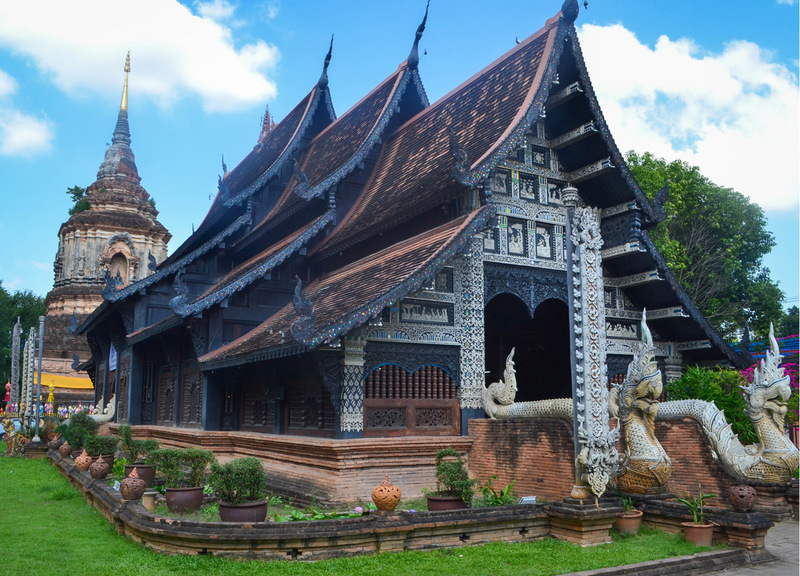 Although the wooden structure remains traditional in Lanna architectural styles. 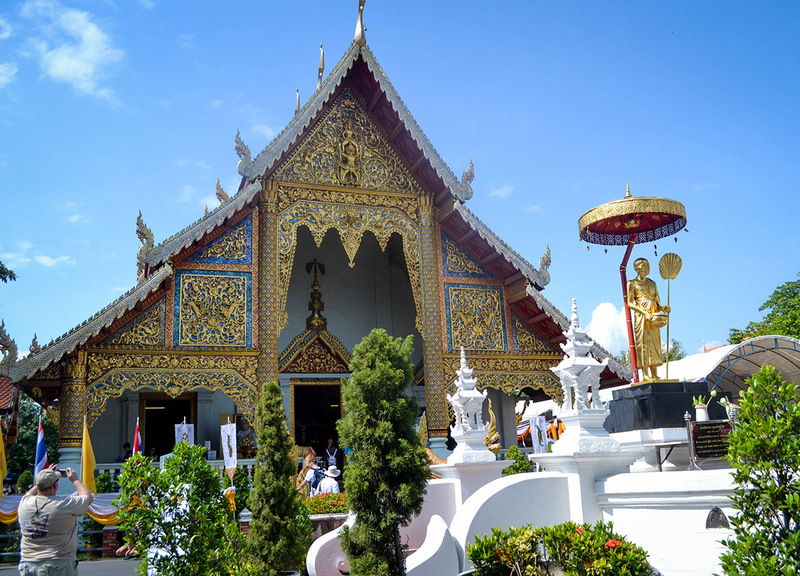 Also known as Wat Buppharam Dok Mai and King Kue Na’s flower garden. 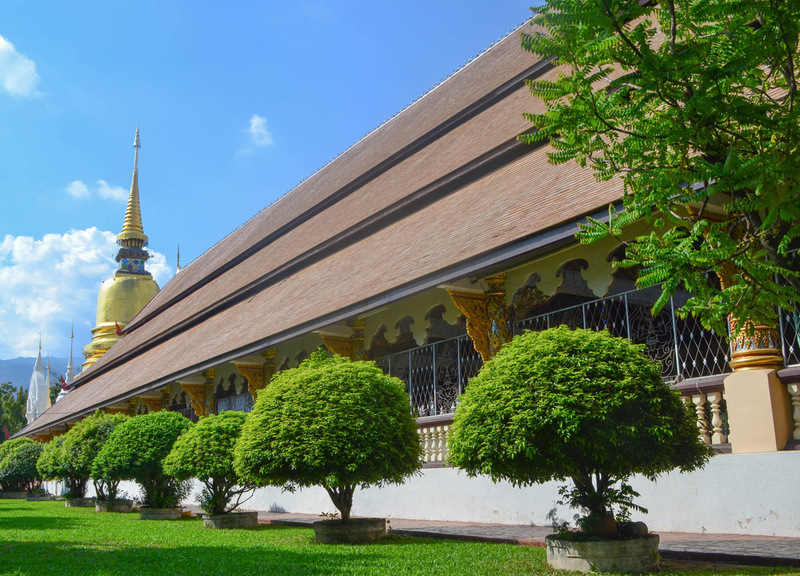 This is Chiang Mai’s oldest flower garden, being older than Chiang Mai itself (1370), and it is the current home to the Chiang Mai campus of the Buddhist Mahachulalongkornrajavidyalaya University (yes, that’s its real name). 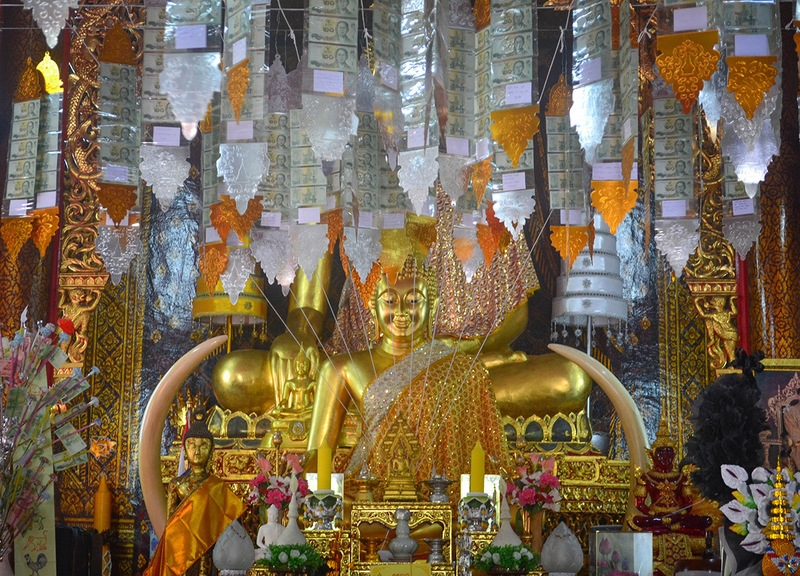 It is also the beginning of a rather imaginative story, where the enshrined Buddha of the temple duplicated, and the second relic was then carried by a white elephant to climb Doi Suthep. 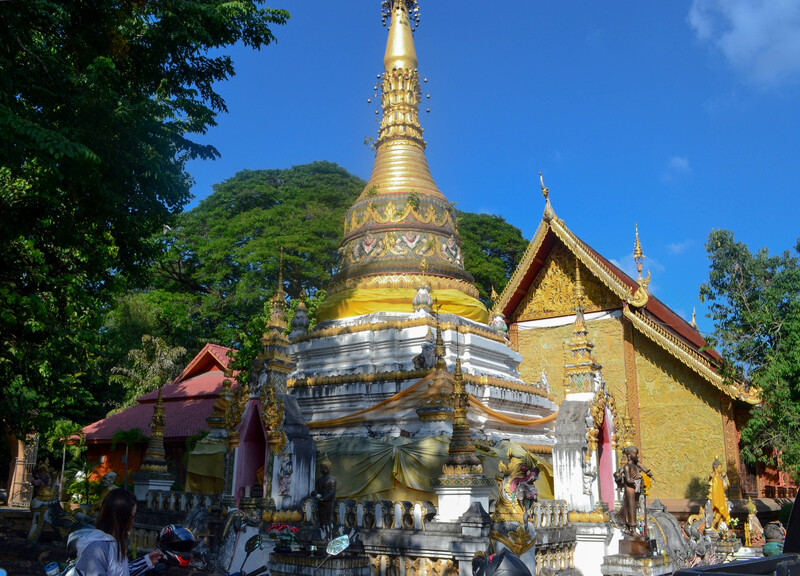 Here it trumpeted three times, before dying, and therefore Wat Doi Suthep was built on the same spot to house the second relic. 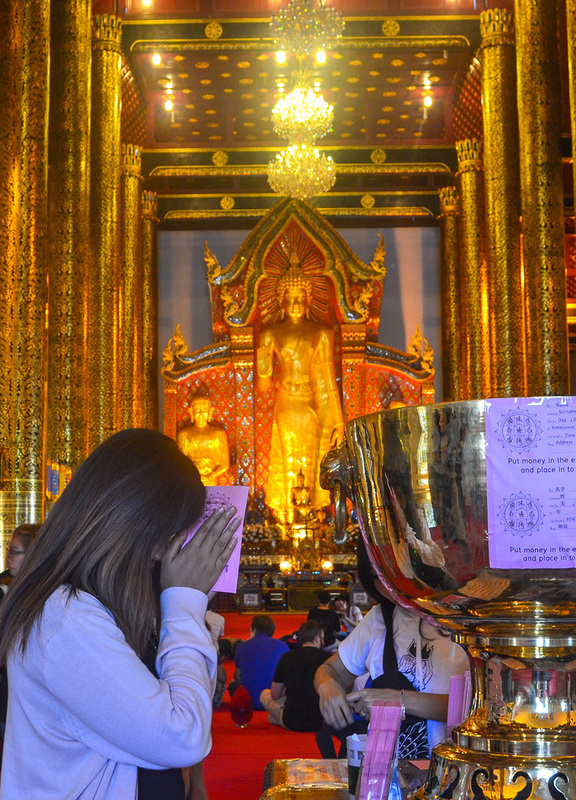 Loosely translating as “the temple that makes bad karma go away”. 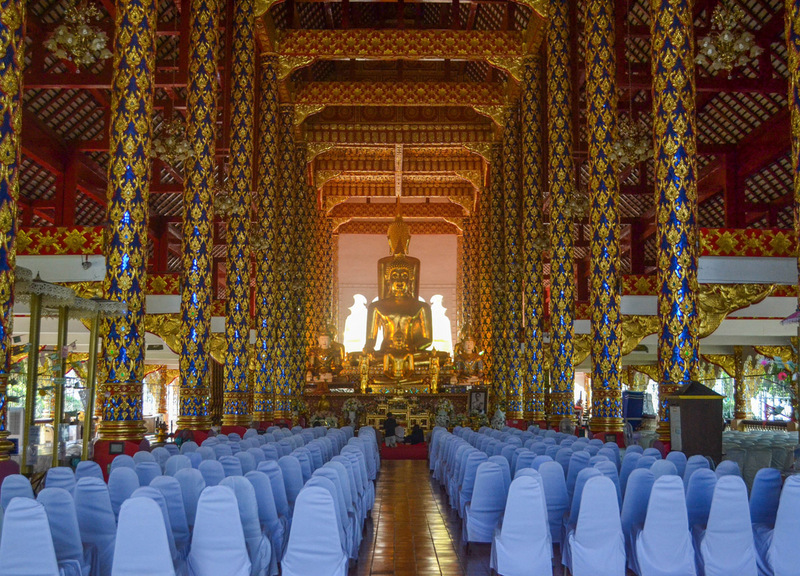 This was another filler, but I would say it is worthwhile visiting if you have lots of bad karma, and you want to it to go away. 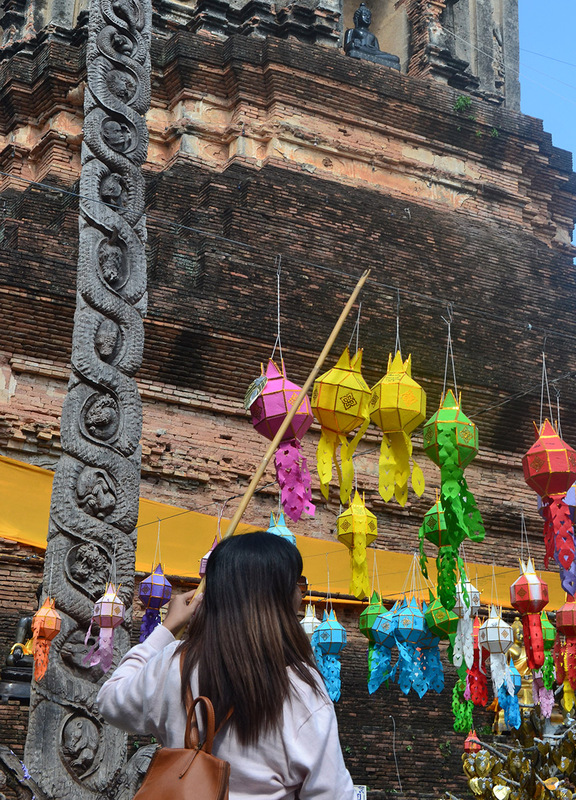 This temple is more than 500 years old, when it was constructed by the 6th King of the Mengrai dynasty. 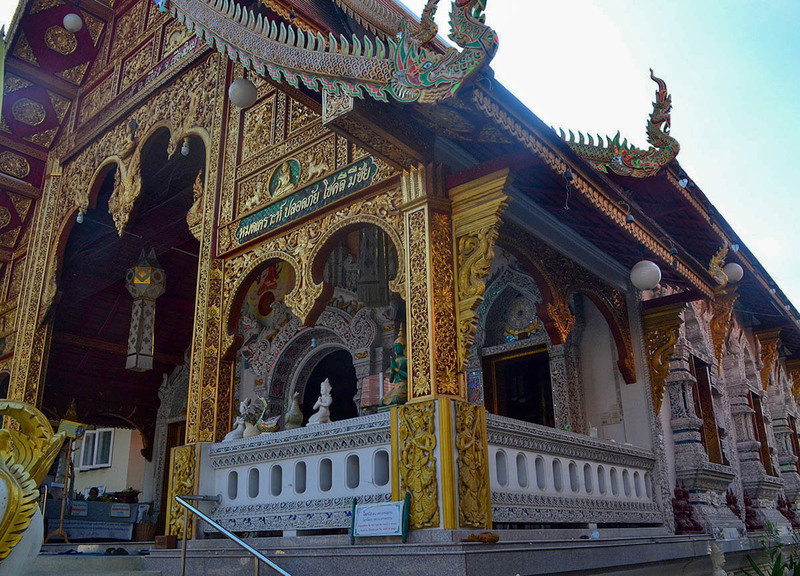 Again, through loose translation, this temple is known as the “Temple of a Blessing (Mongkol) to Win (chai)”. 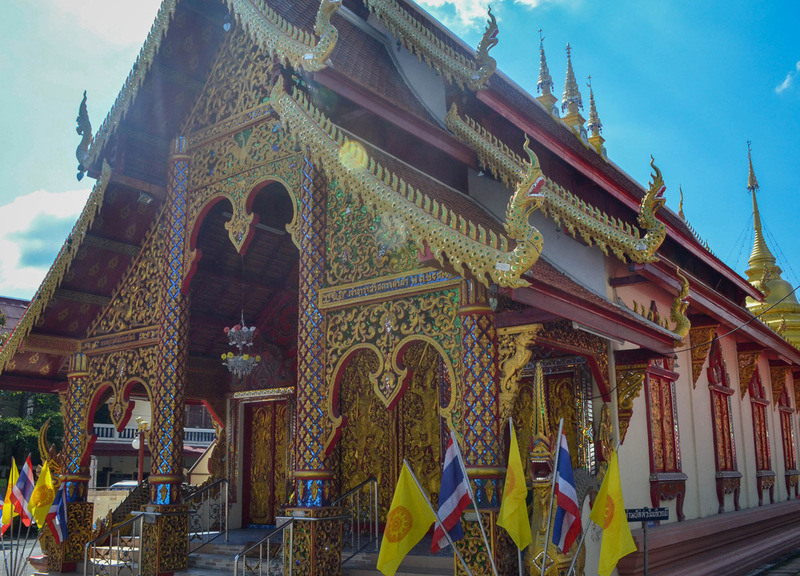 Found next to Chiang Mai’s Ping River this temple shares a serene riverside scene, where you can get lots of good karma (to win) by feeding the catfish. And it’s really just fun throwing fish feed to watch them flap around and clamber over one another. 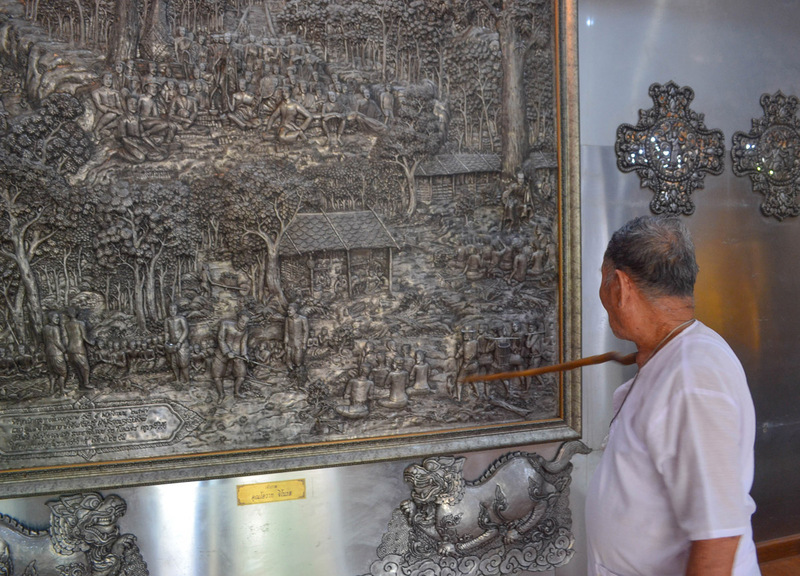 Found in ‘Silvertown’ near to Wat Sri Suphan, the Silver Temple (also worth checking out) this completely unique temple has been intricately handcrafted out of silver alloy and occasionally you’ll find the master silversmith bopping away at further alloy plates. 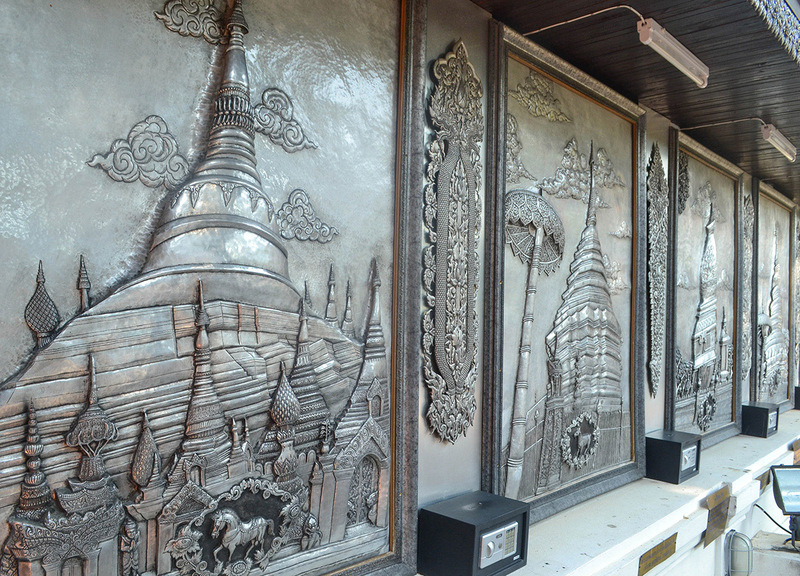 This formally private collection was donated to the Wat Muen San temple, by a local Chiang Mai family of silver retailers, it was an old family collection or alternatively check out Wat Sri Suphan. 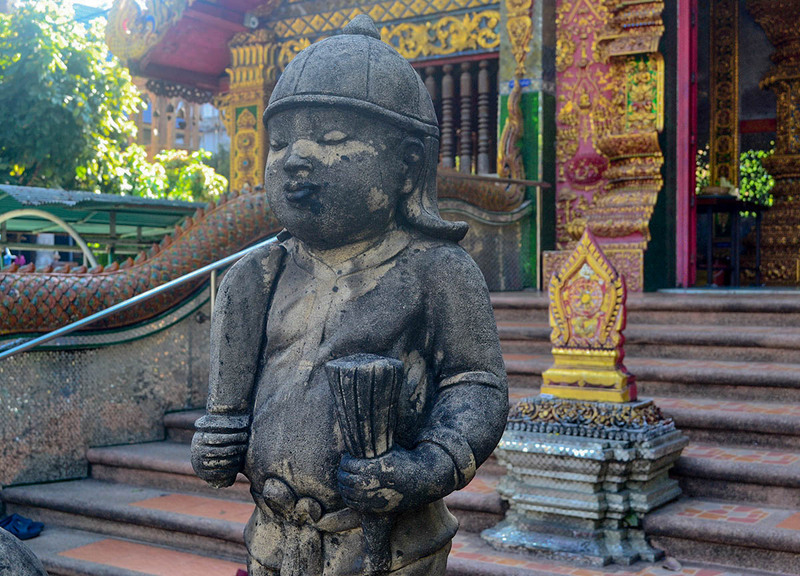 It is also found outside of the old city so is less crowded with tourists.